Happy New Year! Today doesn’t just mark the start of a new year but the start of Veganuary – a month-long challenge which takes place annually, challenging people to make the pledge to sign up to eating vegan for a month, in the hope that they’ll be able to continue for the rest of the year and a lifetime beyond that. It’s charity run and over 250,000 people have already made the pledge. 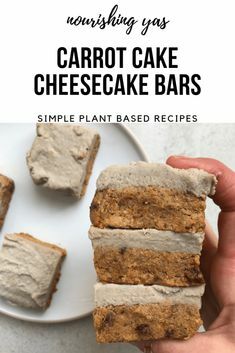 As I follow a plant-based diet myself, I decided that I wanted to do something special to mark the occasion, so each day in January there’s going to be a new blog post, whether that’s a recipe, review or advice to help show people that eating a plant based diet is so much more than limp lettuce leaves, – we aren’t calcium and protein deprived, you can thrive on a plant based diet and it’s true that you can still eat chocolate! I thought that I would start by talking about how and why I made the switch to a plant based diet, what being vegan means to me and the journey that it’s taken me on in the past two years. The first time that I remember properly acknowledging veganism was around late 2014 – early 2015. I used to watch a lot of popular YouTubers, including Niomi Smart who herself follows a plant-based diet. She was the first person that I’d heard speak about veganism and share her recipes. 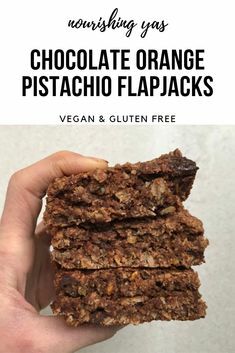 I experimented with a couple of her recipes, found out about weird ingredients such as chia seeds, coconut oil and agave syrup which were things that I had never heard of before and back then they were pretty hard to track down too. 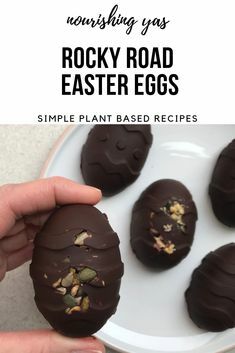 Whilst I played around with some of her recipes, I was still consuming a lot of animal products and as it was around the time when my negative relationship with food was also heightened, making the switch to a plant based diet wasn’t something that crossed my mind. Throughout 2015, my relationship with and attitude towards food only worsened and it wasn’t until the start of 2016 when I properly entered recovery from my eating disorder, that I started introducing more plant-based foods and meals in to my diet. Of course, entering recovery was going to be hard – I had no idea what I wanted to eat and me and my mum would spend hours in the supermarket trying to pick out a meal. From the experience that I had personally, the orthodox approach to gaining weight when in recovery is to eat ‘unhealthy’ foods, simply to get your calories up – I was encouraged to eat pizza, burgers, chocolate bars and use hot chocolate to source my calcium, – not that there’s anything wrong with these foods in moderation or in taking that approach to recovery, but I was very much of the mindset that I wanted to gain weight in a way which would nourish my body at the same time. 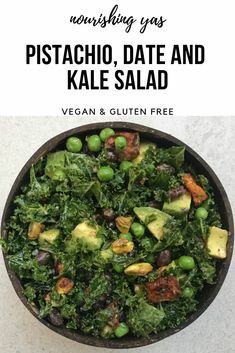 We decided that we would start looking online for recipes and it was through my knowledge of Niomi Smart, that I came across the likes of Deliciously Ella and Madeleine Shaw. I was initially told that I wouldn’t be allowed to follow a plant based diet and that it was for ‘slim people’ and weight loss, but I was determined to prove people wrong. Every night I would have my mum cook a different one of Ella’s recipes for me. It helped to introduce a new way of cooking and range of foods that I’d never tried before, all of which were so delicious and exciting. I still remember trying her recipes so vividly – her roasted aubergine and tahini bowl and pesto butter beans remain two of my favorites to this day. Suddenly I had a new-found love and appreciation for food, all of which happened to be plant based. Up until that point I had still been including small amounts of animal products in my diet but I personally found the full transition pretty easy, as I’d already been slowly reducing my meat intake anyway and so in April 2016 I made the decision to switch to a fully plant based diet. It wasn’t long before food became exciting again – I stopped counting calories, macros and instead concentrated on the flavour and cramming my bowl with as wide a range of wholefoods as possible. Ella was without a doubt one of my main inspirations – not only did her blog and books open me up to the world of plant-based foods but without the content that she was creating I don’t know whether I would have been able to pull myself out of the dark place that I was in. Her recipes were made for me by my mum, until slowly I was allowed to cook for myself again and develop recipes of my own, which has led me to this very blog. Aside from the inspiration that Ella gave me, I would say that social media, particularly Instagram was highly influential in my transition. Before that I was fairly unaware of veganism and whilst I do think that there is a negative side to it which can be quite pressurising, (the clean eating trend definitely had a negative impact on my relationship with food), it has also been incredibly positive for me too. Looking back I probably never thought that I would be Vegan, but then again we don’t predict most things that happen – I loved a cheese board at Christmas, ate tuna practically every day and couldn’t have imagined my life without chicken but now those are all things that now I don’t miss at all. I think that when you’re recovering from an eating disorder there is a lot of questioning around whether the choice of veganism is for the right reasons or not. But for me, I honestly think that it’s one of the best things that I have ever done and in a way it did save me. It helped to pull me away form the low carb, high protein diet which I had become fixated on, helped me to gain weight and heal my relationship with food. It’s given me back my health and connected me with some amazing people. That being said, If I ever feel like eating this way is having a negative impact on my health either physically or mentally then obviously it’s something that I will act on, but right now it works for me. 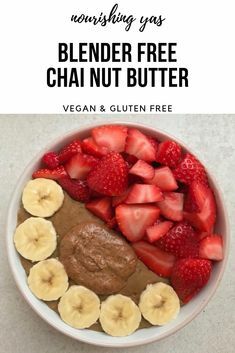 I love the way that I eat and what I eat – chocolate oats, nice cream bowls with all of the nut butter, avocado toast, vegan burgers, salads and veggie bowls. And I want to show other people that eating this way isn’t restrictive – you can eat an abundance of wholefoods and not only feel amazing, but that they taste incredible too. If I felt like I was restricting myself or craving animal foods then it would definitely be a different story. I know that there will be people who disagree, but veganism is something which has helped me massively and I am so thankful for it. Something which I think is important to remember is that it’s perfectly ok to slip up or make a mistake. When you choose to identify your diet as vegan, a lot of people are quick to analyse and criticise everything. I know that a lot of people worry about consuming the smallest trace of animal products, but it’s inevitable that you’ll make a mistake or two along the way. It’s such a big lifestyle switch and animal products are contained in a lot of things that you probably hadn’t even thought of. I’m not ashamed to admit that I’ve accidentally eaten things with honey and egg in, I’ve had people cook for me things that they thought were vegan that I’ve later found out haven’t been and I’m pretty sure that the foamy banana sweets that I happened to eat after I’d had a few cocktails on a night out weren’t vegan either, but I don’t see why I should beat myself up about it. In my opinion there’s no point in stressing out about it, as long as you set out with the best of intentions, that far out weighs any slip up. You just have to move on and try your best. A lot of people are quick to misjudge and stereotype vegans but I personally think that I have quite a soft approach when it comes to the topic – don’t get me wrong it’s something that I am so passionate about and I think that it would be amazing if more people were vegan however I understand that it isn’t right for everyone. I’m not here to force my opinion upon anyone else, I love eating this way but I never want it to be something that completely defines me – and I think that that’s something that’s key in helping to normalise plant-based diets too. Eating is such a huge part of our every day lives but I don’t want the way that I eat to become my identity. I eat this way because yes it saves animals, but it’s also incredibly delicious and I love the way that it makes me feel. Of course I align with the ethical and environmental factors too, both of which I think are so important. Veganism is about so much more than food – it’s made me consider the products that I use and the impact that that they have on the environment and as a result I’ve become more conscious of the choices that I make on a daily basis. I definitely think that people need to become more educated around the subject but I’m not here to preach – I think it’s amazing that there are people who are so passionate about it that they make that their aim and they do a great job at it too, but I’m just not that type of person! Telling family, friends and discussing veganism in day to day life has definitely been challenging at times – people almost act as if you’re a different species in some situations! I’ve recieved countless number of comments which are unncessary or negative – all of the classic ones like but what about calcium? do you not miss chocolate? aren’t you tired all the time? I have to admit that it’s can be annoying at times but that’s why events like Veganuary are great for getting more people talking about and educated on the topic. I think it’s so important for people to be more conscious of their intake of animal products, whether that’s reducing their consumption or being more aware of where you’re sourcing animal products from. Seeing a general increase in the number of people becoming aware of plant-based diets is so amazing. I’ve only eaten this way for a relatively short amount of time but the change that has occurred within those two years is incredible – products which once had to be ordered online or bought from health food shops are now bracing the shelves of supermarkets, making eating this way more accessible and affordable than ever before and it’s so exciting. Free from sections in supermarkets have expanded to aisles and the majority are not only increasing the products that they stock, but producing their own plant based alternatives and it’s so incredible to witness. Take this Christmas for example – for the first time there were so many shop bought main, sides and desserts to choose from, go back two years and there was nothing. Not only that, but eating out vegan has never been easier either – so many restaurants now offer vegan options or full separate menus, even my local pub and Indian offer a vegan menu – something which a few years ago was completely unheard of where I live. If there’s one thing for certain, it’s that veganism is definitely on the rise. 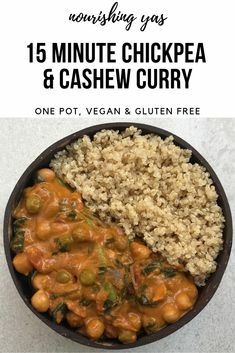 Throughout Veganuary there’s going to be a new blog post up everyday including a range of recipes from breakfasts to sweet treats, snacks, curry’s and dips to show people that eating a plant-based diet doesn’t have to be boring, over complicated or expensive along with posts on some of my favourite products and reviews. Whether you’re making a full switch to veganism this January, reducing your intake of animal products or simply looking for some new recipe ideas then I hope that this series of posts helps to inspire you. Make sure that you’re following me on Instagram @nourishingyas for daily Veganuary inspiration and tag me in your posts using #nourishingyas. Don’t forget to visit the Veganuary website where they have all the tips, tricks and information that you need to help transitioning to a vegan lifestyle as easy as possible. If you think that you’re struggling with a disordered relationship with food then please seek the help of a medical professional or visit the BEAT website. If you are suffering then please make sure that you consult a health professional before considering a plant based diet. Thank you so much Lucie!